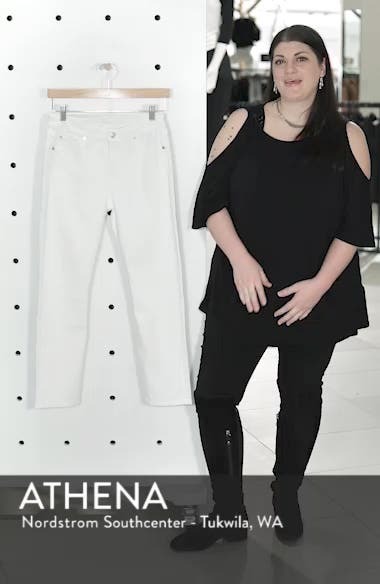 Clean white jeans in a cropped, skinny silhouette feature a contour waist and soft, resilient stretch-twill denim that retains its shape. Choose a sizeMid rise. If between sizes, order one size up. 23=000, 24=00, 25=0, 26=2, 27=4, 28=6, 29=8, 30=10, 31=10-12, 32=12.